Ever since I read Richard Layman’s 1981 Hammett biography Shadow Man, and learned there were four unlocated stories, I’ve been intrigued by their fate. He noted that two stories — “Another Perfect Crime” and “The Man Who Loved Ugly Women” — were published in Experience magazine sometime before May 1925. Layman eventually located a copy of “Another Perfect Crime” — it was published in the February 1925 issue of Experience. 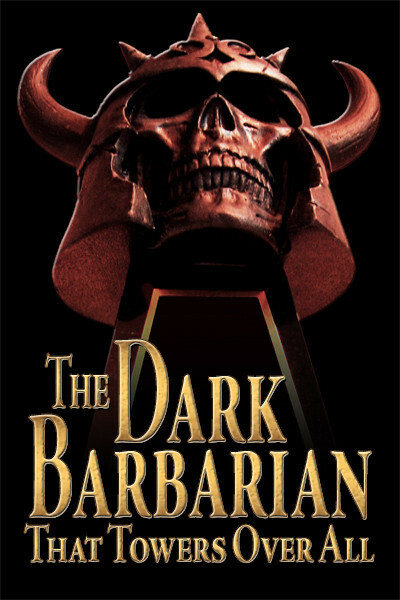 In 2002, Layman included the short story in his and Matthew Bruccoli’s Hardboiled Mystery Writers: Raymond Chandler, Dashiell Hammett, Ross Macdonald: A Literary Reference. Vince Emery reprinted it in Lost Stories in 2005. A few years later I found a copy. 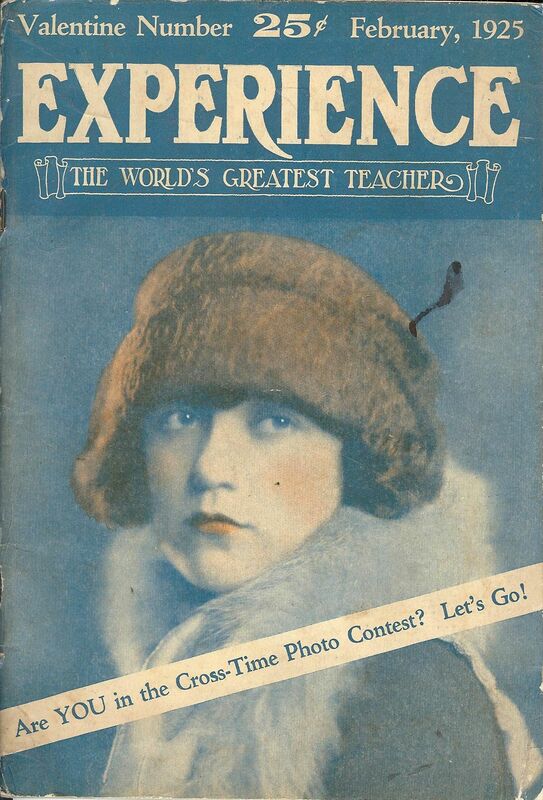 Thanks to my friends at FictionMags and Galactic Central, I’ve learned that Experience was a digest-sized magazine of humor and Hollywood gossip centered on the flapper lifestyle, published out of Chicago. It began life as Flapper magazine in May 1922. In October 1923, Flapper morphed into Experience, which lasted until sometime in 1925. “Another Perfect Crime” is minor Hammett, a humorous short-short (about 700 words) concerning a hapless criminal who thinks he commits the perfect crime by being such the obvious suspect that no one will actually suspect him. To date, no copy of “The Man Who Loved Ugly Women” has come to light, but I have hopes of tracking it down some day. But given it was published in Experience, I have no great hopes as to its quality. The remaining two stories, “First Aide to Murder” and “A Tale of Two Women” were published in Saturday Home Magazine, a newspaper supplement from the 1930s. Layman speculated that these stories might be re-titled reprints. I can confirm, with near certainty, that Layman’s guess was correct. 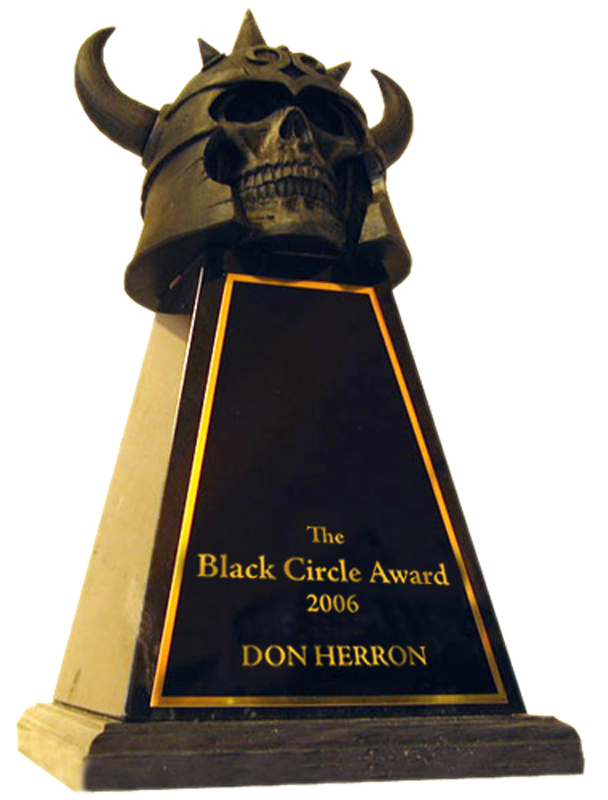 Prior to giving Frederic Dannay permission to reprint his short fiction, it is known that Hammett licensed several of his stories to King Features Syndicate. These were published in the Saturday Home Magazine between at least 1936 and 1938. There are three copies of the Saturday Home Magazine with Hammett stories currently for sale by Internet dealers; these are “Death and Company” in the November 21, 1936 issue; “The Judge Laughed Last” in the February 27, 1937 issue; and “Pickup” — according to the dealer’s description, a re-title for “The Whosis Kid” — in the August 1, 1936 issue. The folks at the FictionMags Index indicate that “The Farewell Murder” was reprinted in an issue from 1937. 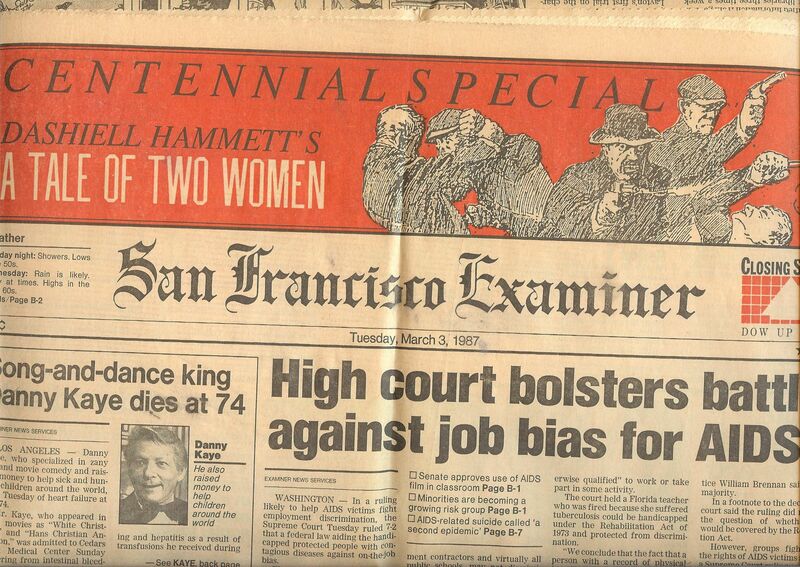 I can be more definite about “A Tale of Two Women.” Last year, I purchased a copy of the March 3, 1987 issue of the San Francisco Examiner. As part of the paper’s centennial celebration it reprinted this story by one of its favorite sons. The copyright is given as “1938 King Features Syndicate.” The story is clearly a re-titled “Women, Politics and Murder.” I think the likelihood to be slim that the Examiner chose to re-title the story on its own initiative, using a title from one of the unlocated Hammett stories. The King Features Syndicate copyright notice also argues against this scenario. So, that’s three down — three of the four previously unlocated stories located. This entry was posted in Dash, Frisco, Lit, News and tagged "A Tale of Two Women", "Another Perfect Crime", "Death and Company", "First Aide to Murder", "The Farewell Murder", "The Judge Laughed Last", "The Man Who Loved Ugly Women", "The Whosis Kid", "Women Politics and Murder", Experience, Mike Humbert, Richard Layman, Saturday Home Magazine, SF Examiner, Terry Zobeck, Valentine, Vince Emery. Bookmark the permalink.